Spraying circuit cooler on the package brought it back to life for a few minutes, confirming the diagnosis. Reducing the maximum intensity to PWM 32 reduced the average power dissipation enough to let it run for as long as I was willing to let it, although it might not survive a hot summer day. The fine details of the WS2812B controller produce a horrible Moiré blur with the camera’s low-res image, but you get the general idea. This entry was posted on 2015-12-03, 07:50 and is filed under Electronics Workbench, Oddities, Photography & Images. You can follow any responses to this entry through RSS 2.0. Both comments and pings are currently closed. I could try taking a photomicrograph of it (microscope + adapter + camera) but I doubt even a clear picture would show what’s wrong. On the chip level, you could have problems between interconnect layers (vias not working correctly, or a couple layers almost shorting due to a defect. 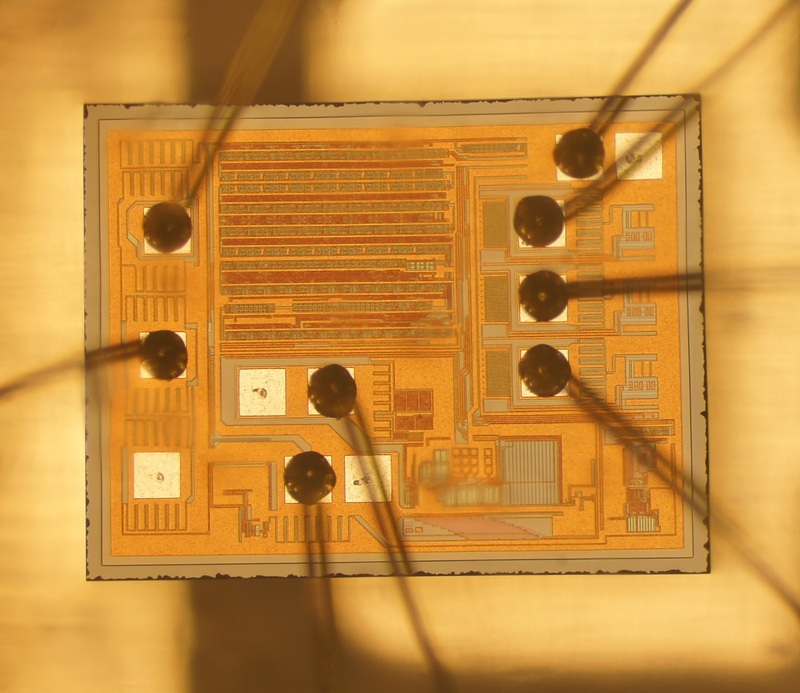 I did failure analysis (a very dark art) on our analog process chips, and 1 micron defects could kill a chip made on a 5 micron (minimum geometry) process. Modern processes use geometries smaller than optical methods can even resolve. DFT Engineer, here. Yep, things are really small. Our next design is 16nm. At that point there are roughly 30 silicon atoms across the smallest feature. Intel is apparently working on 5nm at which point continued miniaturization basically grinds to a halt. Since my profession is highly related to the idiosyncrasies of the silicon manufacturing process, I am pretty damn curious about what happens next. I definitely need a better camera for the microscope! 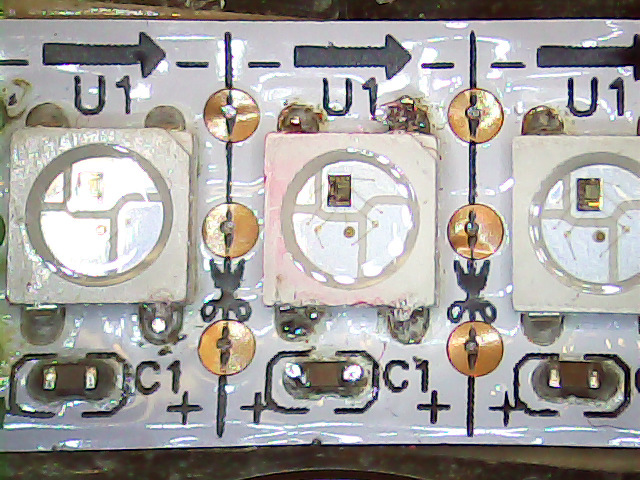 By eye, the pad-like features look more like circuit elements than test points or fuses. Note that there may be no difference between a test and a bonding pad, except that the former isn’t hooked up in the package. In the stone ages, we’d do smaller pads for test points, but that wasn’t ideal. If you had the space, you tried to use a full sized pad. 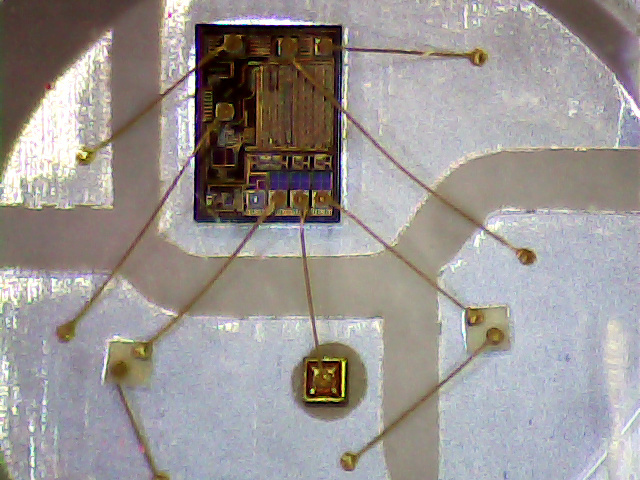 Not sure of this technology, but in the (bipolar) processes I dealt with, the pad had no circuitry in it, with all the goodies a ways away (25 microns by our design rules). You could program with fuses or zappable diodes, and the fuses were either NiCr or (as I heard) silicon. National ICs used a lot of zener zapping. I’d guess that Linear Tech might still do so. 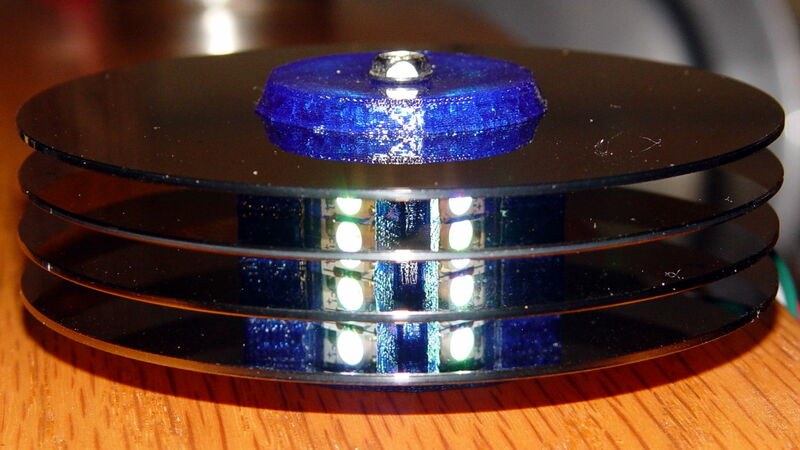 In bipolar, you might find a Schottky diode that looks something like a pad. Ours were the same size as pads in the PROMs. On a part like this, I suppose you could have a pad to some flash memory to handle programming. By not bonding it to the outside world, the progamming’s not going to be changed. With that as a guide, the eyeballometric survey says they didn’t do any probing / programming on these chips: all the padlike things without wires are dead flat and unscarred. Of course, these being the knockoff variant, there may be zero margin for testing & fine tuning: if the LEDs light after wire bonding, ship it! The LED pilot light on our Mr. Coffee died after 3 days of use. That machine replaced an identical one that died after 6 weeks from a heater failure. We took the hint and changed brands to a higher end Kitchenaid. Never realized how much I counted on that pilot light… Oh well, it’s a backup machine now. I suppose it’s possible the data out driver on the previous one failed.